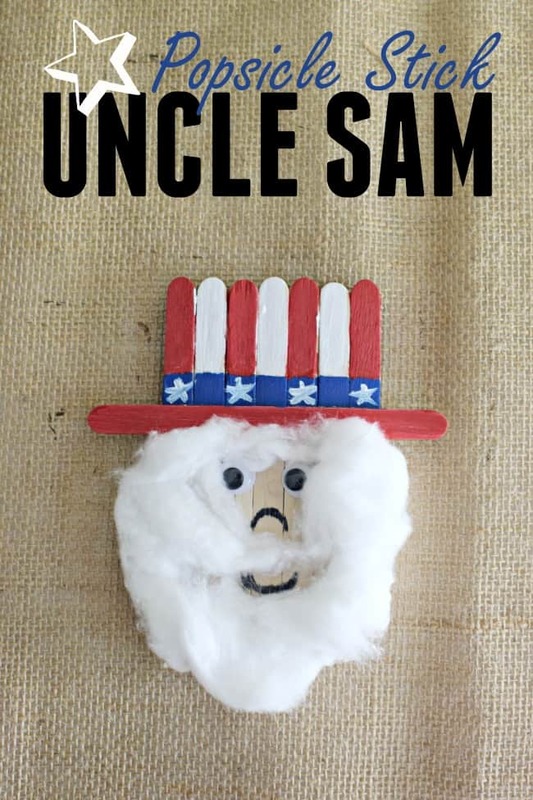 Celebrate the 4th of July with your kids and make this super cute Popsicle Stick Uncle Sam craft. Start off by painting 1 craft stick red. Allow to dry! Glue on 7 plain craft sticks to your card stock or cardboard. Allow to dry! 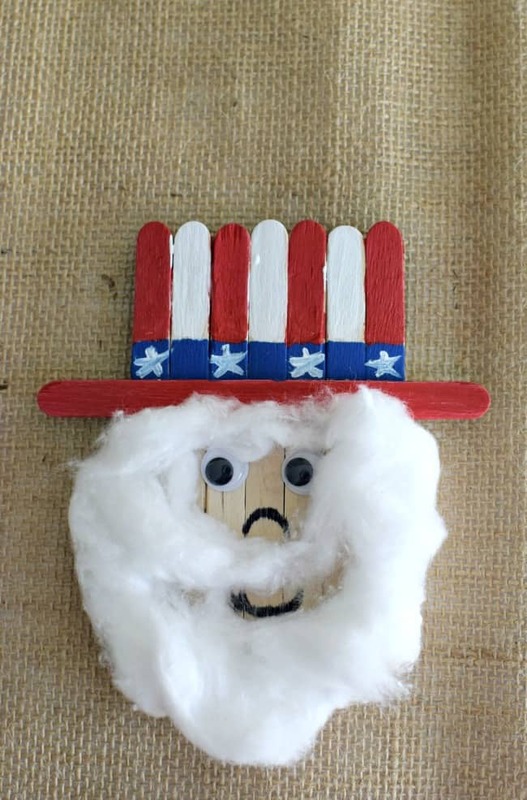 Once the sticks are dried onto your backing you can then glue on the first red stick to make his hat. Allow that stick to dry and now you are ready to paint on the rest of the hat details. We made a stripe of blue with stars and then red and white stripes. Allow the different colors to dry before using a different one. Once the hat is dried you can glue on his eyes and beard. Then draw on his mouth and nose. If you want to turn him into a magnet I recommend a .75 inch adhesive magnet to hold it up. 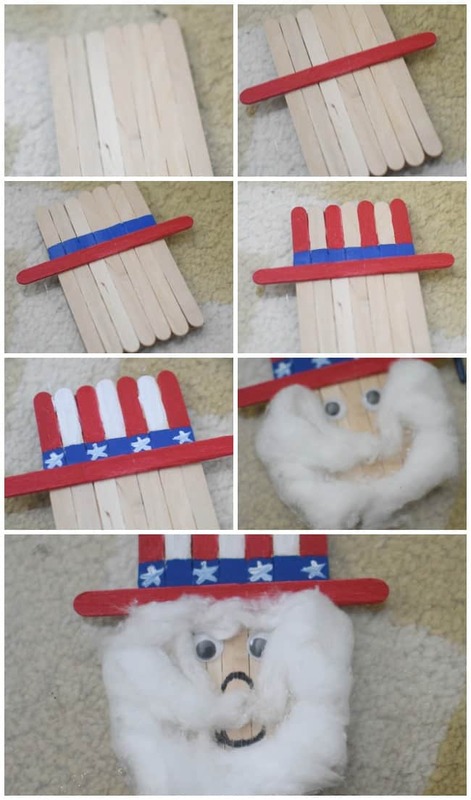 I have done several popsicle stick crafts and they are probably some of our favorite ones to do. They are super easy for little kids and well a lot of fun too. Best Essential Oils for Summer!